“Inuk,” the first Greenlandic film to be screened in Korea, had a VIP premier at the Lotte Cinema, Sangam-dong, Seoul, Saturday. This premier was hosted by Greenland Prime Minister Kuupik Kleist who visited Korea for talks on developing the arctic nation’s environmental policies as well as the opening up of polar shipping routes. 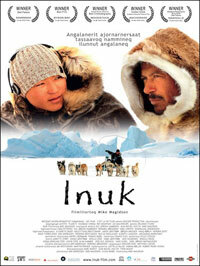 The film “Inuk” is a road movie about a young boy called Inuk, living in a miserable home environment caught between a violent stepfather and an alcoholic mother in Nuuk, the capital city of Greenland. He is sent to a social welfare facility, where he goes sealing with Ikuma, a hunter. “Inuk” is the first feature film of director Mike Magidson that reflects the present Greenland which stands at the crossroad between the modern and the traditional by tracking the changes of a boy who overcomes his wounds and is re-born again. The movie has gained enormous attention despite the conspicuous absence of big name stars. “We don’t produce many films in Greenland because our film industry is not developed. But, this Greenlandic-language film has been awarded many international movie awards, and I am very happy that the premier of this film takes place during my visit to Korea. It is the absolutely perfect end of the schedule of visiting Seoul,” said the prime minister. Ole Jorgen Hammeken who starred as the hunter, Ikuma, said “I was born in the capital Nuuk, and was raised in the modern way, but through the filming of this movie, I started to agonize about cultural transition between our ancestors and us, and became aware of where we came from.” The actor also said the film would resonate with Korean audiences because it deals with universal issues such as teenagers’ angst and family discord. Director Lee Myung-se, known for the film, “Nowhere to Hide,” Kim Dong-ho, honorary director of the Busan International Film Festival, fashion designer Lie Sang-bong, Incheon Mayor Song Young-gil, and Peter Lysholt Hansen, Ambassador of Denmark to Korea attended the premier. 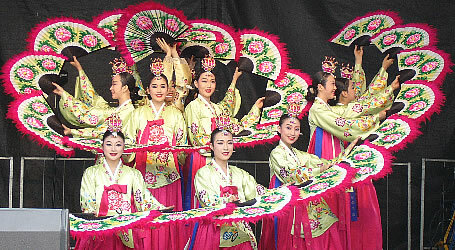 “This is a great opportunity to present the beauty of Greenland to Korea. To give wider publicity to this film, we are planning to make its debut in wide release in Korea,” said Mininnquaq Kleist, the head of department of Foreign Affairs of the Government of Greenland. Before the preview of the film, there was a performance by Greenland band Nive Nielsen and the Deer Children, and a food tasting event served by Greenland-born chef Jeppe E. Nielsen that featured raw prawns, shrimp and grissini with smoked halibut. “Inuk” is expected to go on general release at the beginning of next year following discussions with distributor company, Peter Pan Pictures.